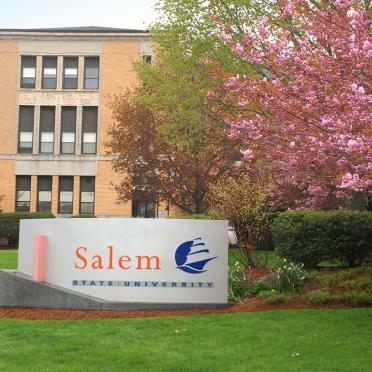 SALEM — During spring break this year, a Salem State University student from Southbridge and 39 other students chose to give back to the community. Southbridge resident and student Ashleigh Prince traveled to New Orleans, where she and 19 other Salem State students joined Habitat for Humanity in the construction of a house for a local family. Another 19 students traveled to Kansas City, where they teamed up with the St. Bernard Project in the building of a home for a local family. Students were housed in local churches or retreat centers. Though schedules varied by location, students worked on Habitat for Humanity and St. Bernard Project sites Monday through Friday. Bruce Perry, assistant dean of enrollment management and student life at Salem State, joined students in New Orleans to work at the St. Bernard Project site and has been a part of the alternative spring break trips since 2007. Student Fred Kelley, 21, of Melrose, traveled to New Orleans on his break and acts as treasurer of the student group Community Service Initiative (CSI), which sponsors these trips. “Being able to volunteer for the Saint Bernard Project in New Orleans was an unforgettable experience and helping those displaced by Hurricane Katrina was an extraordinary way to give back,” said Kelley. The Community Service Initiative has been offering this Habitat for Humanity trip for the past 13 years and added the St. Bernard Project trip four years ago. Over the years, students have also volunteered at sites in Georgia, South Carolina, and Texas. Because of the trips’ continued success, students will be offered this volunteering opportunity again next spring, but students can volunteer all school year. Interested parties can also email the group at service@salemstate.edu. Visit salemstate.edu/clubs to learn more. I’m so proud of you Ash!